Millionaire and business giant Donald Trump has been hailed as one of the shrewdest (not to mention richest) entrepreneur of his time. One would think that maintaining a vast financial empire would take up most of his time but that didn’t stop Trump from making a mint in the golfing industry. 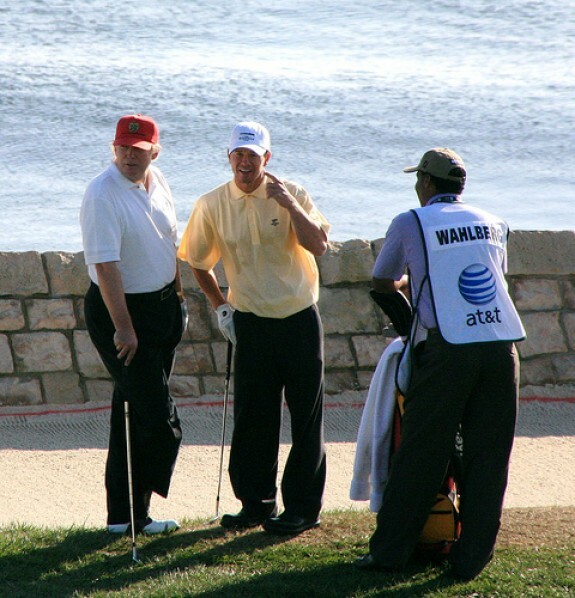 Trumpgolf.com has all the latest info regarding this financial mogul’s golfing exploits and of course, his highly acclaimed golf courses. According to the website, the millionaire recently opened a brand new one in Scotland, a country in which he has roots from his mother’s side of the family, the Macleods. Apparently, Trump understands the importance of breathtaking views and perfect conditions for this sport, which is why he chose the ‘unspoiled and dramatic seaside landscape’ that characterizes the isle of Scots. How’s that for golf fanaticism? That’s not all the business mogul has done to pay tribute to his favorite sport though. His infamous, but impressive, track record for hiring the best of the best lead him to hire the world’s best golf course architect, Tom Fazio to design a spectacular golf course for him in New Jersey’s Somerset County. Apparently it was designed for those that “share a common passion for the game of golf and a love of this scenic countryside.”(http://www.trumpnationalbedminster.com). Of course, Donal Trump has also contributed to a fair share of charities and the earthquake disaster in Japan is one that grabbed his attention the most, recently. According to the Courier Journal reporter Jennie Rees, Donald Trump’s National Hudson Valley Golf Course is currently planning to raise funds for the disastrous and massive earthquake that hit Japan in March. Apparently tact (or humility for that matter) isn’t his strong suit. 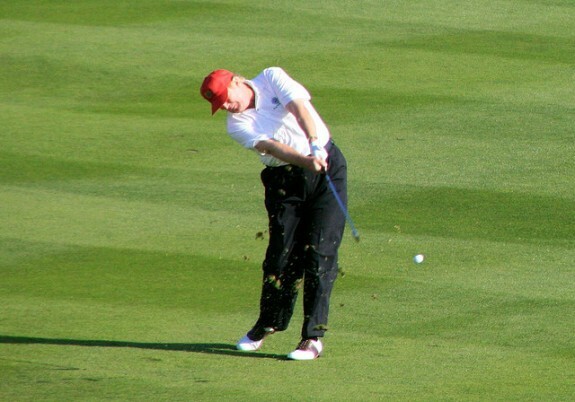 Let’s just hope Donald Trump keeps upholding his celebrity and golf status the way he’s going because, frankly, he is perhaps the only one who has given the greatest tributes to this elegant sport. Celebrity Golf Players – A Match Made In Heaven? I enjoy Trump and his shows. The episode where he did a walk around of the course in Scotland was fantastic to get a first hand look at how he conducts business. Deep down though Trump fails to understand the brilliance of golf architecture and manipulates land far too much. He doesn’t get Fazio to shape land like the great architects (Doak, Coore & Crenshaw etc) of todays generation as they allow for the land to dictate their layouts. His tendency for creating the wow factor (views and waterfalls) does cater to many golfers so you do have to give him credit there. The homerism he displays for his courses is also a bit much. Calling Trump New Jersey better than Pine Valley is outrageous but that’s what the man is all about. Thank you for the thoughtful comment – The Donald is nothing if he isn’t always “over the top”! But still, he gets our attention…. And What would he do if he would be elected as President?? … 🙂 .. Just a fun! … It’s good to know the people who has passion for the game!